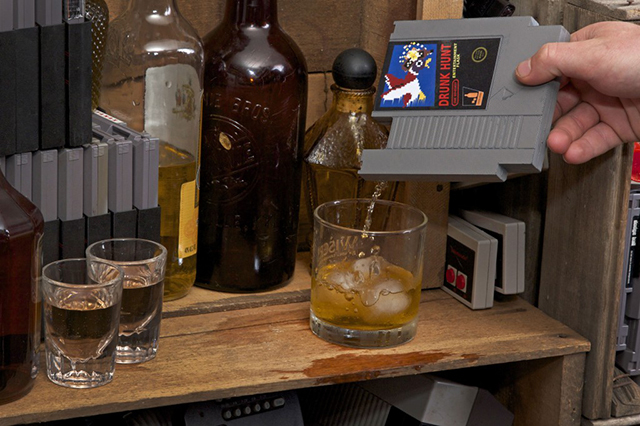 Ink Whiskey founder Matt Cornell and his team have created The Entertainment Flask, a concealable series of whiskey flasks made from classic Nintendo video game cartridges. 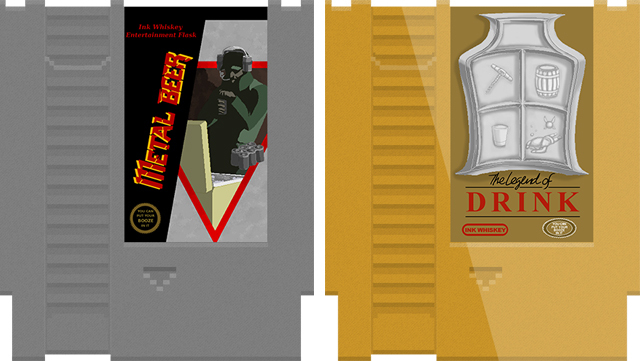 They also made some fantastic alcohol-themed labels based on well-known NES video games. Ink Whiskey is raising funds on Kickstarter to help with production costs. We wanted to make this flask a concealable flask instead of a flask that was just shaped differently. That’s what was really important to us; we wanted our product to look and feel exactly like the game cartridges we grew up with, and then BAM SUPRISE! 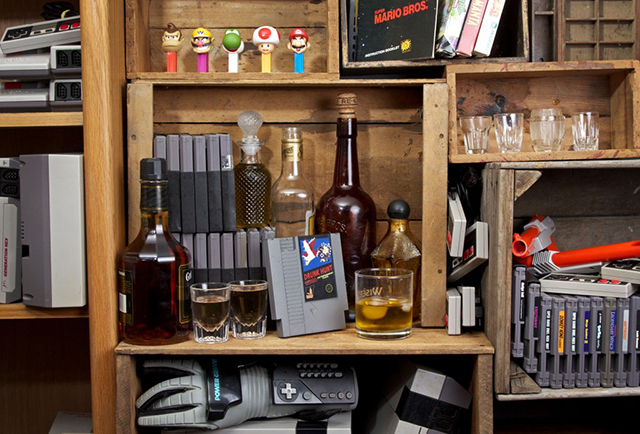 it holds your favorite real-life health potion. Amiright? Amiright?